Brittnee, one of my best friends, is getting married this October (yay exciting! ), and I have the pleasure of being her Maid of Honor (yay double exciting!) We spent the day dress shopping for her a few weeks before, and Brittnee looked beautiful in every dress she tried on … but she didn’t find “the” dress. 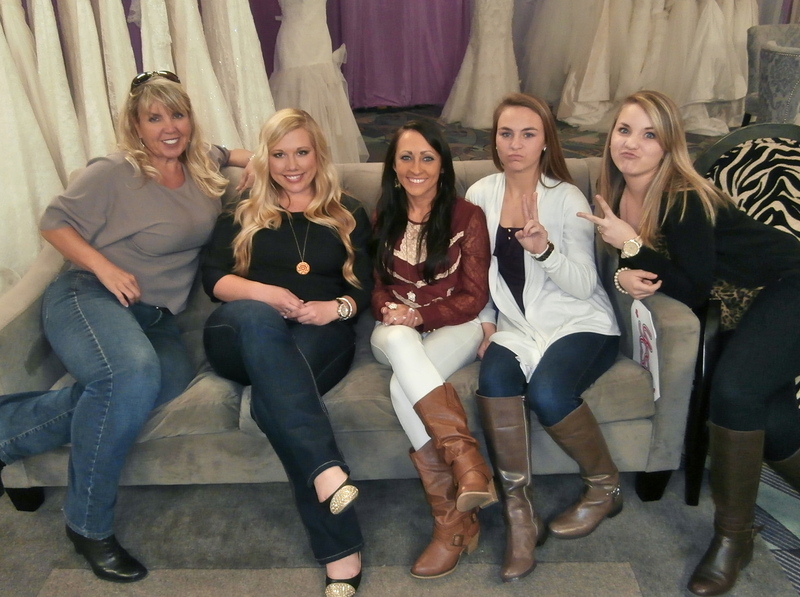 A few days later, Adrienne, one of her bridesmaids, heard that the producers of TLC’s “Say Yes to the Dress” were coming to Savannah for a traveling version of the show. She told me about it, we researched it, and decided that Brittnee NEEDED to be on this show. Trust me, if you knew Brittnee you would say she was born to be on this show. So we entered her. And after several phone interviews and video submissions … she was selected! She got to choose five people to go with her to the taping – her “entourage,” as they called it – which consisted of myself, Adrienne, Brittnee’s mom, and her two little sisters, Brook and Taylor. 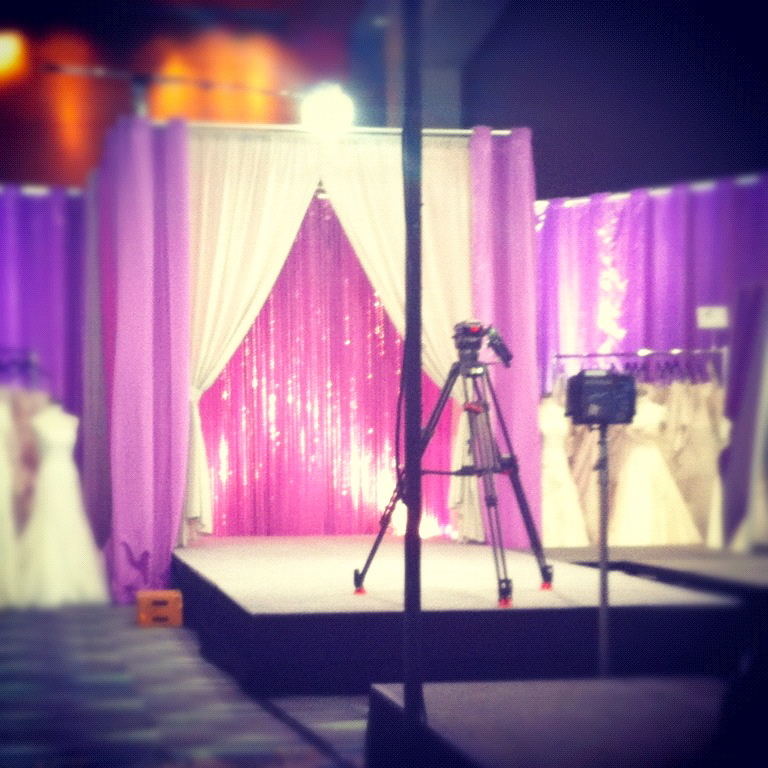 A little background: “Randy to the Rescue” is a spin-off, if you will, of the popular TLC show “Say Yes to the Dress.” It’s still hosted by the same Randy Fenoli, but it travels around the country hosting these pop-up wedding boutiques in select cities. Randy invites local brides out to try on dresses and even offers his consulting to some of them, but selects only a few to “rescue” for her big day. 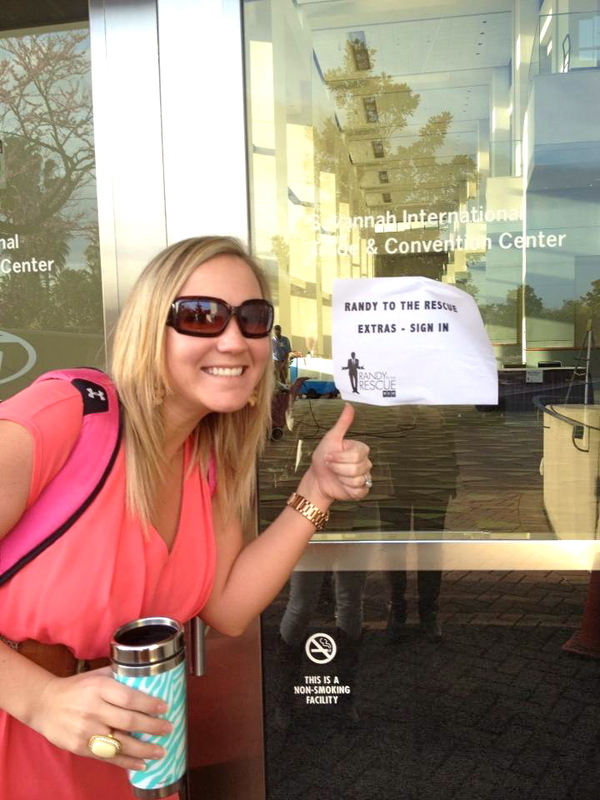 And Brittnee ended up being one of those lucky few! You see, I have known Brittnee since second grade and we have been friends ever since. For as long as I’ve known her, she has always struggled with her body image. She’s never been big, but she developed faster than most of the girls, filling out and having “womanly” curves. It was always hard on her and she has never had any self-confidence. Over the past year, she has lost over SIXTY pounds and looks phenomenal!!! She has the boy, the ring, the great job, and the fabulous body, but she is still missing one thing: The confidence. Insert Randy. We didn’t have much detail going into the taping other than what time to be there, and that her entourage should come “camera-ready,” and Brittnee should come without any makeup. She was not too thrilled with that. That info, and the following that was in bold in the email from the producers: This is going to be a long day but it’s the fun kind of work! Please be prepared to put in a full day. You’ll find out soon enough that they weren’t joking about that last part. 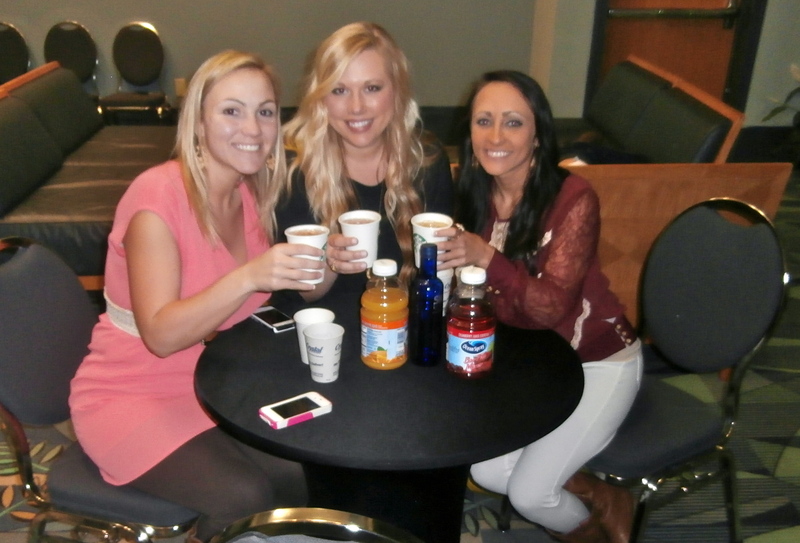 They were taping at the International Trade and Convention Center in downtown Savannah along the beautiful Savannah River, where we arrived at 8: 30 a.m. About thirty minutes later, they took us to our “green room” and hauled Brittnee off for interviews and questioning. 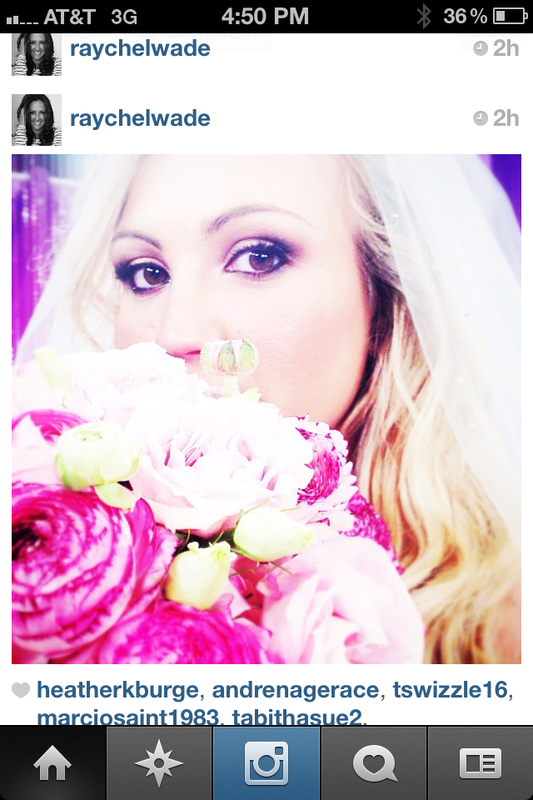 The bride’s ready to go in! We were arranged on the couch and chairs, briefly coached about filming etiquette (you know … don’t look at the cameras – act like they’re not there, when you talk about the dresses, be sure to reference which dress you’re talking about … that’s pretty much it), Brittnee returned, and we began. We walked into the “shop” as if it were our first time in there, looking through the dresses and pointing out the ones we’d like to see her in. We then took our positions on the couch and chairs, sat and chatted for a few minutes, and then Randy walked in! It was the first time we’d gotten to see him, so our surprise reactions that you’ll see are real. It’s Randy Fenoli, after all! And he was just as adorable and unbelievably sweet as he is on TV … that is not an act at all. Brittnee introduced us, and he asked about her big day. We all took turns describing what we’d like to see Brittnee in, and all of our opinions were very different … we should have known then and there this was going to be a challenge! She personally said she wanted a “princess” dress with a lot of bling … something big and flashy … and she wanted to look skinny. After gathering an idea of the type of dress she wanted, Randy and our adorable consultant from BleuBelle Bridal of Savannah hit the racks to find Brittnee the perfect wedding dress. She headed back to try on, and we waited anxiously. The moment she came out in her first dress we all cheered. She looked stunning! Sure, it may not have been the perfect dress for her, but she looked so gorgeous that it didn’t even matter. She came out in dress number two … then number three … then five and six. Same thing: She looked gorgeous in them all, but wasn’t sold on any of them. The frustration kicked in and her tears began to flow. She liked certain things about each dress, but it either didn’t have the right sweetheart neckline, not enough bling, or it didn’t make her “look skinny.” She didn’t realize that she IS skinny, so they all made her look that way! The “Yes” and “No” signs I made were beginning to be more upsetting than they were fun, like at the beginning, so Randy ripped them up. After trying on 14 dresses and not loving any of them, Brittnee’s mom felt it was time for a mom-intervention. She started going through the racks, pulling the ones she thought her daughter would like, and taking them back to her dressing room. A dozen more dresses and she still wasn’t loving any. She was upset and in a bad mood, and her mom and sisters’ claws began to come out. It seemed hopeless! In fact, she made the comment that she didn’t think she was going to find a dress there at all. Randy quickly followed that statement by saying, “This is what I do. I have 1,200 dress and we’ll stay here until you’ve tried on every last one of them if we have to. We’re going to find you a dress.” See – told you he’s amazing! 2:00 p.m. rolls around, and we’re all tired, hot, hungry and frustrated. At this point we’d been taping for over five hours and had already gone over our allotted five-hour taping time, so Randy and the crew suggested we break for lunch. They had another bride coming in for taping at 2, so instead of kicking us out and saying “oh well,” they said we could resume once the second bride had finished. Well, lunch turned into a 3.5-hour break. So what do you do when you’re stuck in a waiting room with an upset bride, nothing to do and no TV to watch? Head to the liquor store, of course! Adrienne and I made a run for it and were back in less than 20 minutes with champagne and vodka. Rockstar bridesmaids! This helped relax Brittnee quite a bit. Why hadn’t we thought of this sooner? She headed back upstairs to try on more dresses while we waited to be called back up. After about another hour, we were taken back upstairs and told that Britt had found two dresses that she really loved and wanted us to see. We anxiously headed back to our seat and waited for her to come out. She looked BREATHTAKING! It was pure perfection, and nothing at all like she’d originally wanted. Everyone loved it … except for one person. Tears flowed again. She came out in the other dress, and again, perfection! That one person loved it, too. She couldn’t decide and our picks were mixed, so Randy told her she needed to be the one to make this decision. He told her to go in that room and come out in the dress she chooses. Her mama didn’t even care about her original $2,000 budget at this point! She made her decision and headed into hair and makeup, leaving us sitting on the edge of our seats, dying to see which dress she picked. 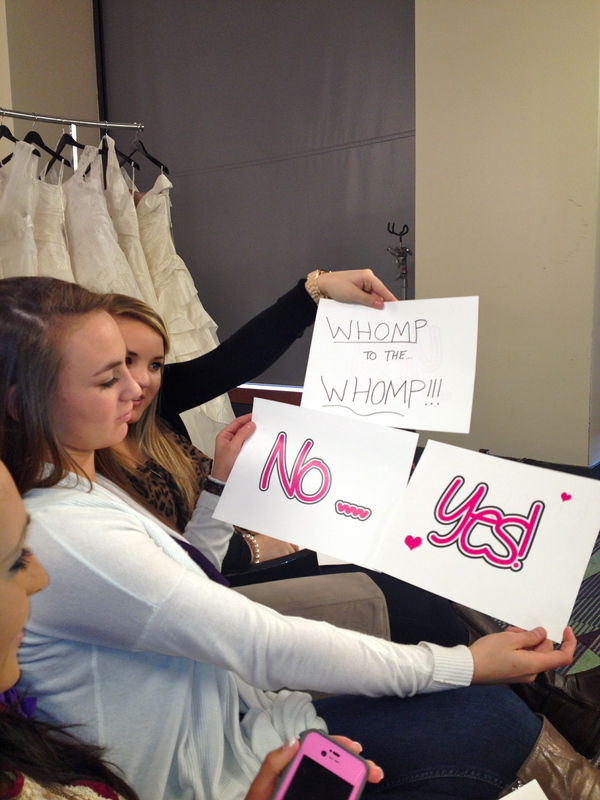 Britt went off for primping, and we sat and waited … again. For another two hours. 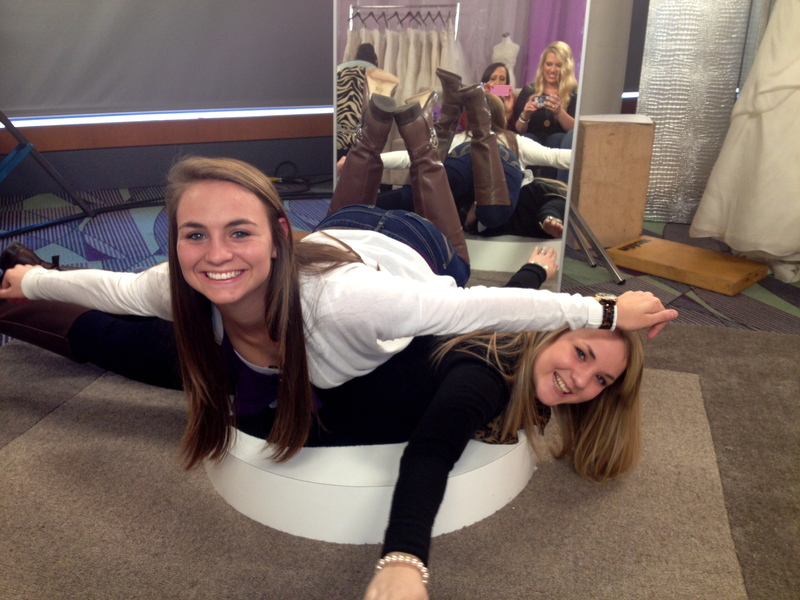 And Brooke and Taylor were getting antsy. We were exhausted, hungry again, had microphones digging into our backs, and our butts were numb from sitting the whole day, but it was all about to be worth it. It was time for her reveal. The moment she saw herself in the mirror for the first time was priceless. I’ve known her for 18 years and I’ve never seen her look at herself that way. She just looked so happy, and proud to be in her own skin. That alone made the day completely worthwhile. It was the perfect moment when Randy asked how she looked and she said, “I feel beautiful.” MISSION ACCOMPLISHED! Way to go, Randy. By the end of the night … midnight … we all felt like family and were having a lot of fun with the crew. Partly because we were all over-tired and delirious, I’m sure. 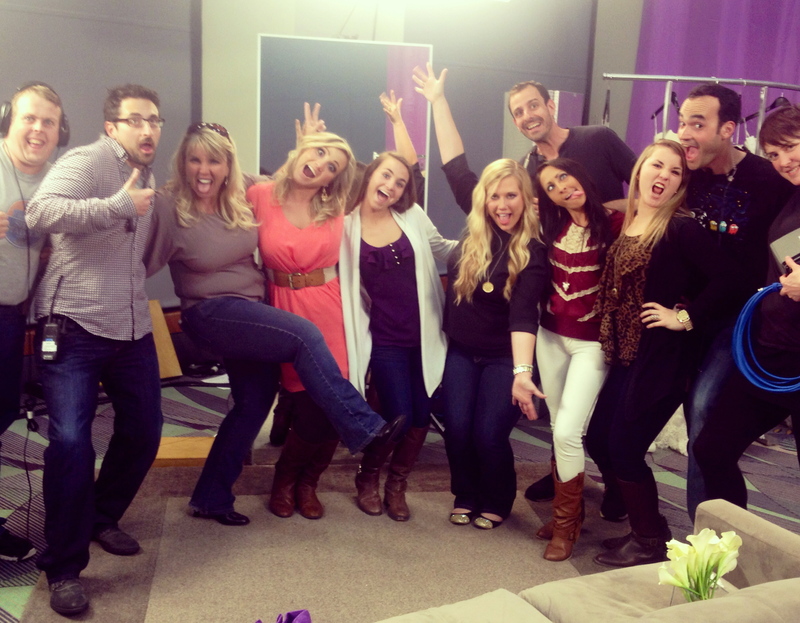 A huge “thank you” to the RTTR crew for making this such a special memory for Brittnee and for all of us. You were all amazing! So what did I take away from this experience? The excitement is real, the feisty-ness is real, and the tears are real. Nothing is staged and you’re not told what to say or do. So while it may seem silly while watching on TV, it’s real and it’s something those girls were actually experiencing. I will, however, be very curious to see how we are each portrayed once all of the edits have been made. So crazy to think that we filmed for 13 hours straight and might have 15 minutes of programming. We all had such an amazing time during this experience, and I wouldn’t trade it for the world. Side note: Apparently they taped four brides and only three would make it onto the show, but no one would know until afterward who made it on. Brittnee received confirmation that she will, in fact, be on the show, and I can’t wait to see it! 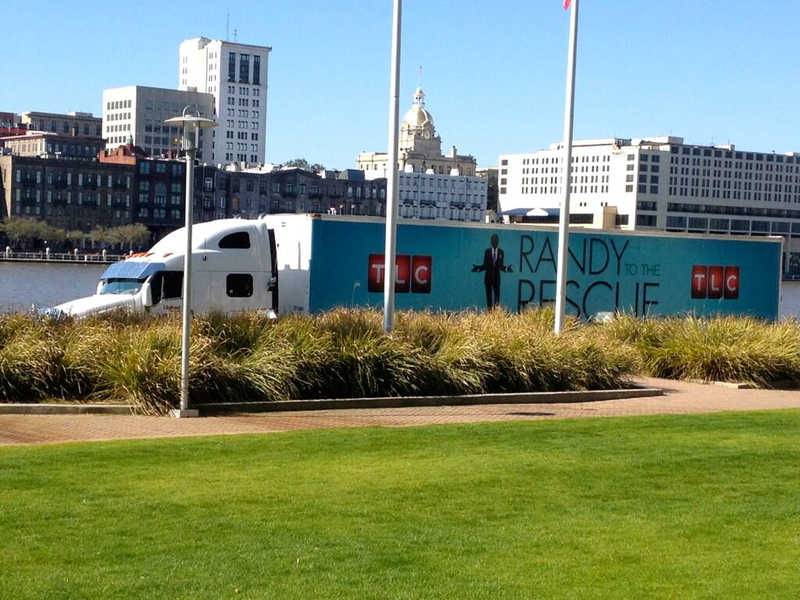 The new season of Randy to the Rescue begins May 31, but we haven’t heard when our episode will air. I’ll be sure to post an update once I know something! Until then … here are some more photos from our day on set! Ready for her big day! We were there long enough for them to tear down the entire set. Eek! Me with the fabulous Randy! Having fun with the film crew! The bride and her girls! Previous Post I Haven't Given Up … I Promise! Hey! I just saw this episode tonight. I really loved the first dress, the one that her mom didn’t love. Do you by any chance know who makes that dress? Brittnee looked absolutely beautiful in both dresses though. Unfortunately I have no clue 🙁 I will ask the rest of the girls, though we had been there for about 10 hours at that point so I’m pretty sure no one was paying attention to designers. I’ll let you know if I find out anything! how exciting!! what an exciting experience for everyone. Let me know when you hear your episode will air!